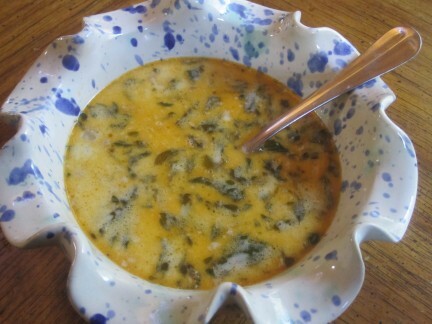 The best nettle soup EVER! I’ve tried out so many nettle soup recipes, only to be disappointed. They were either too bland or too watery or just didn’t leave me satisfied…. until this one! Not only did I like it, but the hubby and both kids did, too!! Win-Win! 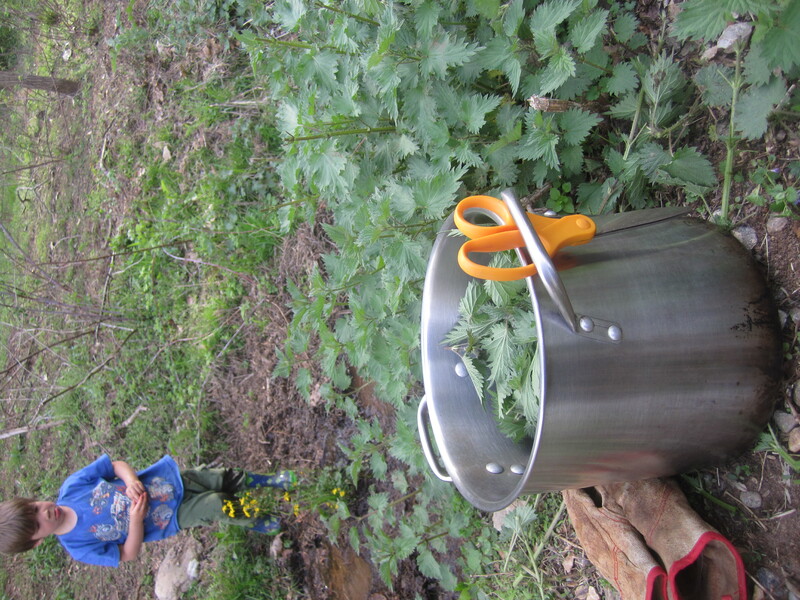 About 4-6 cups of nettles (strip the tender leaves from the tough stock and just use the leaves in the soup… and wear gloves when you touch them!) Kale, spinach, chard, and greens like these also work well. Warm your coconut oil in a pan and add your sausage. Cook over medium heat until the sausage is nicely browned. Add your chopped onions, salt, and paprika. Stir to cook your onions and spices until the onions are softened. Add coconut milk and chicken stock and bring it to a simmer. 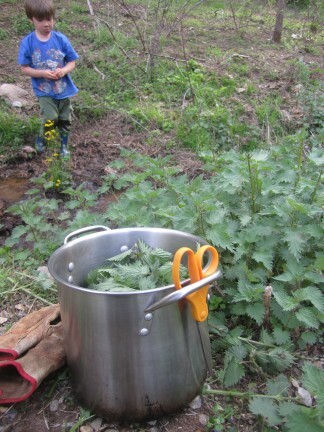 Don your gloves and add your nettles stirring in well. The leaves will immediately start to wilt into the soup. Simmer for 20 minutes, then eat up!!! I think this is going to be one for canning up to have on hand year round!! Delicious! I made this last night and it was the best soup I have ever eaten. I used bok choy and spinach for the greens and it was amazing. Yay! I’m glad you liked it! I’ve been making it almost every week we all love it so much! !